Slice up the apples and spread each slice with the peanut or Almond butter or dip the apple into the butter. Core and slice apples into thin slices. Cook apples and water in a small saucepan over medium heat. When mixture comes to a boil, reduce heat and stir in rest of ingredients. Cook on low heat for about 15 minutes. Great served warm with some Greek Yogurt. 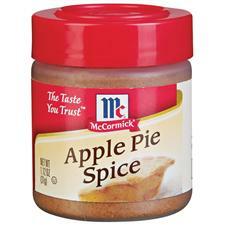 1 tsp ground cinnamon or Apple Pie Spice. Core apples and place in a small baking dish. Stand apples in small ovenproof dish, pour a little water around them. In a small bowl mix the nuts, lemon juice and spice. Fill apples with mixture. Drizzle honey or maple syrup over the top. Bake for 25-30 mins. Great served with Greek Yogurt. Timely ideas – This was my plan for today; however, I thought I’d try using the Cinnamon flavored Stevia instead of honey or maple syrup for the baked apples.